Venue: Capitol Center, North Bay. 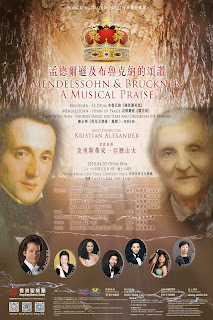 Teresa will be performing well-known classics written/arranged for the harp by Handel, Massenet, Hasselmans, Schumann, Granados and Bach, as well as her own arrangement of Beethoven’s “Moonlight Sonata” 1st movement and improvisation on well-known hymns. Joining her in this concert is her husband James W. Campbell on the piano. 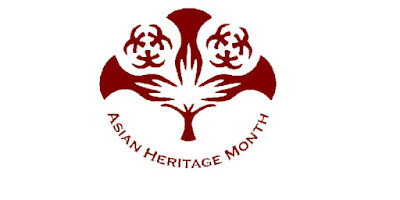 They will be performing one work for harp and piano, “The Silver Pear Tree of Paradise” (2010), composed by James himself, a self-taught composer who is a judge by profession. 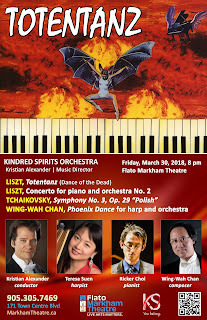 Teresa will be performing a world premiere of renowned composer Wing-wah Chan's Harp Concerto with Kindred Spirit Orchestra and Maestro Alexander.